Locash Mag. Issue 2 X S.L.U.M. Fest 2011 and beyond. 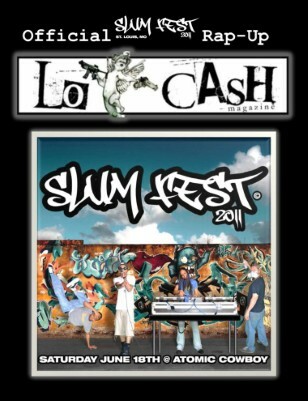 As excitement mounts and stars begin to align, S.L.U.M Fest 2011 (Saint Louis Underground Music festival) is nearly here, and The Locash Collective is proud to be covering the festivities for a special edition of Locash Magazine available on this website shortly after we recover from our hangovers. Over 70 artist from all over the midwest are coming to show and prove their skills at this years festival, which promises to have some special surprises on top of the already stellar line-up. 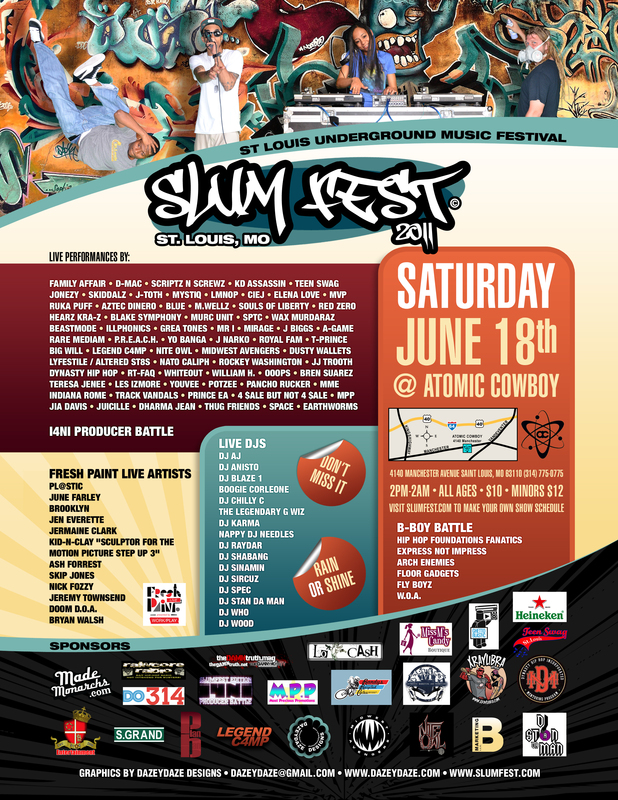 All elements of Hip-Hop culture are well represented Emcees, Bands, DJ’s, B-Boy’s/Girls and graffiti artist’s as well as sculptors will all be representing as this official kick off to the Saint Louis summer party season begins. The time and place is Saturday June 18th, 2:00pm to 2:00am at Atomic Cowboy 4140 Manchester Ave. STL. 10 bucks get’s you in, there is a full service restaurant, 2 bars plus music and art all day.